To apply for this training you will need to download the application form here. Your application will be vetted and should it be approved we will contact you to book your date. This training is compulsory for all plumbing businesses. 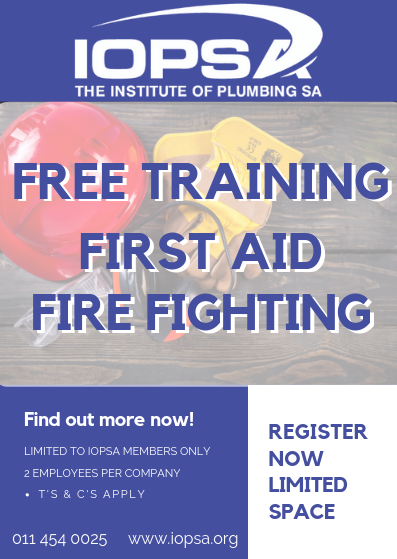 This training is completely FREE to all IOPSA members!